Large custon 1.5 Story home on a corner lot in Hardinsburg, Ky. Formal dining room, formal living room. Plus a large Family room. Could be to have 2 Master bedroom suites, one on the main and a second on level two. Extra large eat in kitchen with all appliances, walk-in pantry. Large rear deck 22x30. A separate 20x30 building set up as a kennel or other small animal operation. Easy to occupy. Home Protection in place. Direction: Hwy 60 to Hardinsburg, Ky. Turn right on Old U.S. 60, travel past the Walmart and when near the NAPA store, turn right on Oak St. Turn left on Blancett Lake. First home on right. 102 Blancett Lake Rd, Hardinsburg KY 40143 is a Home, with 4 bedrooms which is recently sold, it has 2,400 sqft, 0 sized lot, and Attached,Entry Side parking. A comparable Home, has 3 bedrooms and 2.5 baths, it was built in and is located at 1331 Hwy 1385 Hardinsburg KY 40143 and for sale by its owner at $ 299,900. 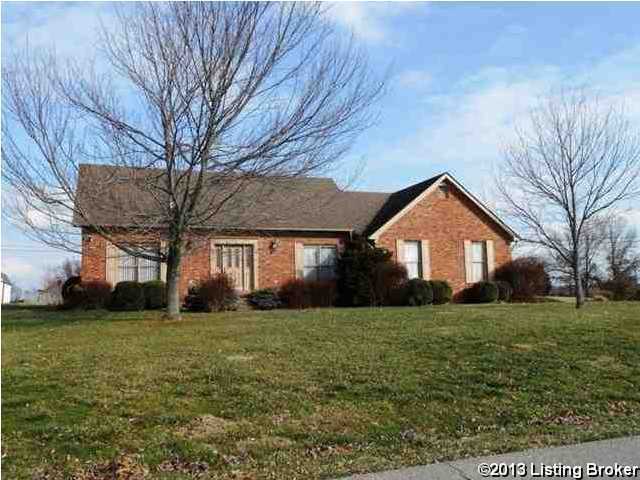 This home is located in the city of Hardinsburg , in zip code 40143, this Breckinridge County Home, it is in the NONE Subdivision, and LAKE OF THE WOODS are nearby neighborhoods.